Spicy Beautiful: PRIZES: Maybelline Watershine PURE Natural Water Lipcolor giveaway! 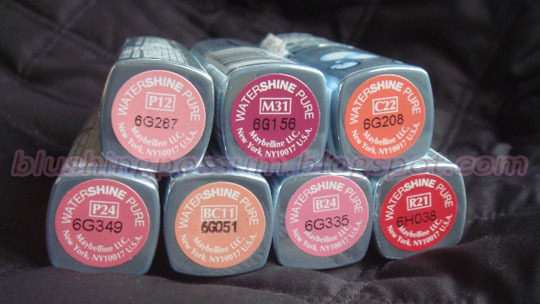 PRIZES: Maybelline Watershine PURE Natural Water Lipcolor giveaway! You still have 15 days to win one of these Maybelline Watershine PURE Natural Water Lipcolor lipsticks. Promo ends on April 30, 2011.